by John Leland and Duraid Adnan. New York Times, January 19, 2011. 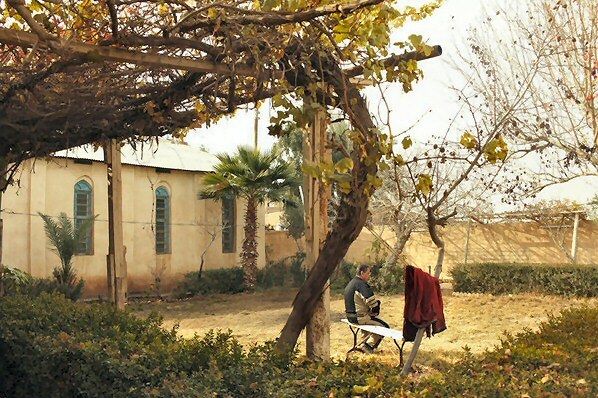 HABBANIYA CC (Civil Cantonment) Iraq — The last Christian man in town goes to church each morning to clean the building and to remember the past. Romel Hawal, 48, was born in this town in Anbar Province back when most of the population was Christian. Now, he said, his 11-year-old son knows no other Christians and has no memory of attending a church service. “When my son swears, it is on the Koran, not the Bible,” Mr. Hawal lamented. His wife wants to leave town or leave the country, joining what is becoming an exodus of Christians from Iraq and throughout the Middle East. But Mr. Hawal said he felt an obligation to stay. And he found support from an unlikely source. Here in Habbaniya CC (Civil Cantonment), residents talk about their town as an oasis of ethnic and religious harmony, where Christians and Muslims, Arabs and Kurds, Sunnis and Shiites all lived together for decades without friction. On one short stretch of rutted road near Mr. Hawal’s church, Mary Queen of Peace, are an Assyrian church, a Sunni mosque, a Shiite mosque and another, older, Sunni mosque. But even on this street the buildings tell a more complicated story. The Assyrian church, St. George the Martyr, lies empty and hollowed out after an explosion in 2005. 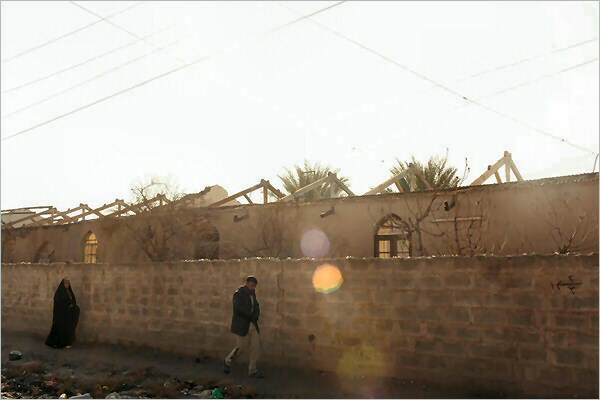 The Shiite mosque, Husseiniya Habbaniya, is a brand-new building but has no imam, or cleric, because of attacks against Shiites in the region, including a 2006 bombing that damaged the previous building. These and other attacks shattered the mutual interdependence that had flourished for much of the past century, residents say. 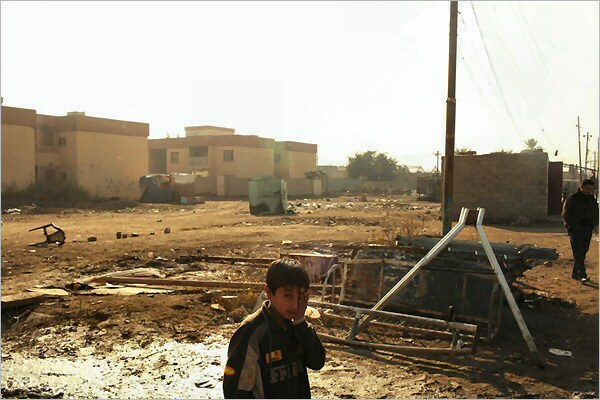 As Anbar Province became a stronghold for Al Qaeda in Iraq and other Sunni extremist groups, Christians and Shiites, feeling singled out, fled the area, until this town of 10,150 had only one Christian family, down from about 70 families before the American-led invasion of 2003. There were not enough Shiites to fill the big new mosque. At Mary Queen of Peace, Mr. Hawal is now caretaker not just to an old church but to a history. For most of the last century Habbaniya was an important hub for Assyrian Christians from around Iraq, with an educated elite and a unique dialect. Assyrian regiments fought alongside the British against Arab nationalists and the Axis powers, and the name Habbaniya CC comes from the Habbaniya civil cantonment established by the British air force after World War I. From their British counterparts, Assyrians here brought soccer to Iraq, said Archdeacon Emanuel Youkhana of the Assyrian Church of the East in Beirut, who was born in Habbaniya. The Christian population began to drop in the 1970s and 1980s for economic reasons, the archdeacon and current residents said. Mr. Hawal, who is Assyrian, switched to Mary Queen of Peace, which is Roman Catholic, after his brother became the caretaker, and remained after his brother moved to Baghdad and then to the Kurdistan region in northern Iraq. About half of Iraq’s Christians have left the country since the invasion. Mr. Hawal remembered Christmas celebrations in the garden at Mary Queen of Peace, staying up all night with his Muslim neighbors, both Arabs and Kurds. Gone, too, are the sounds that once defined the town. “The bell used to ring here, and the azzan from the mosque,” said Nofah Ramah al-Dulaimi, 72, who runs a small clothing shop next to the church, referring to the Islamic call to prayer, which sounds five times a day. 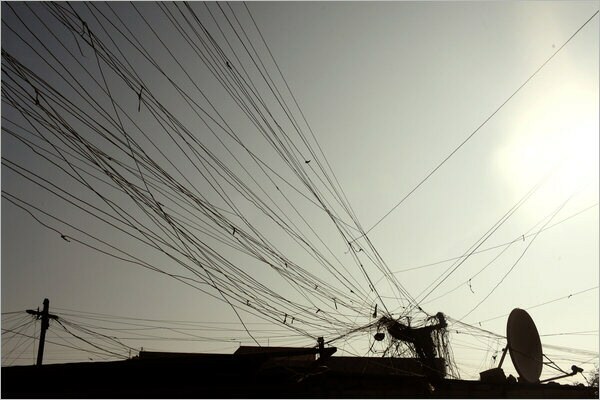 Mr. Hawal said that his life had become culturally identical to those of his neighbors. 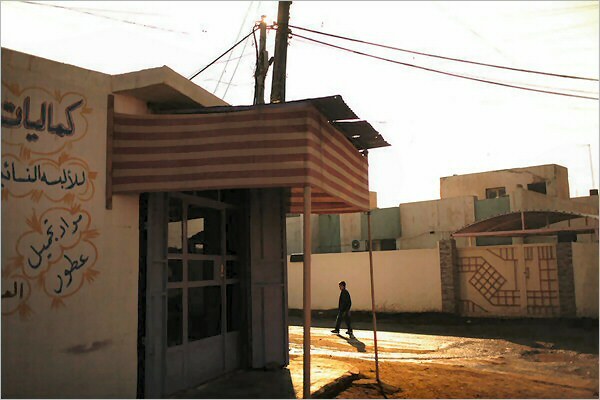 At his construction materials shop he hangs a sign that says Allahu Akbar, or God is great, and the customers know him as Abu Yousif (father of Yousif) the Christian. The family prays at home, he said, but the rituals are incomplete without a priest. The hardest part, he said, is raising his son here. “Whenever I look at him my heart breaks,” Mr. Hawal said. “He is my closest friend. I just want him to live a normal life where he can practice the Christian traditions.” If another Christian family would take care of the church, he said, he would leave town. Even with security improving, he still worried about Yousif. Sometimes his wife calls him to say Yousif is missing, and Mr. Hawal has to track the boy down to the soccer field, where he is playing with Muslim friends — enjoying the game that Assyrian Christians brought to Iraq, momentarily free of sectarian strife. But the sanctuary is fragile, Mr. Hawal knows. 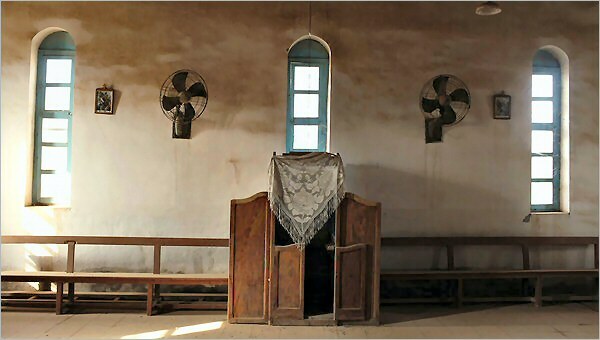 The town of Habbaniya CC, in Anbar Province, used to be mostly Christian. 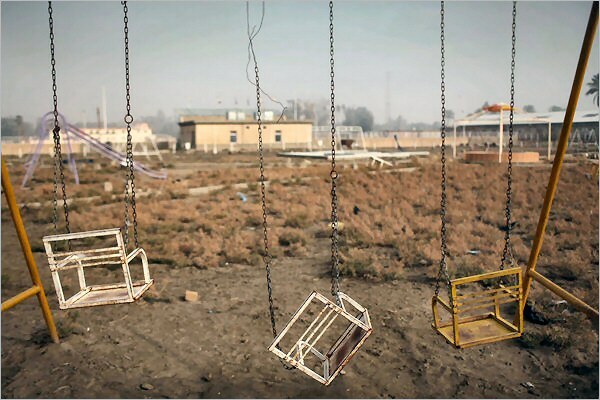 Now, in this town of 10,000 people, only one Christian family remains. The Christian population began to drop in the 1970s and 1980s for economic reasons. More Christians fled with the start of the war in Iraq, as Anbar became a stronghold for Al Qaeda in Iraq and other Sunni extremist groups. Residents say that the violence pushed out more than just Christians. They talk about their town as an oasis of ethnic and religious harmony, where Christians and Muslims, Arabs and Kurds, Sunnis and Shiites all lived together for decades without friction. Mr. Hawal goes to the church each morning to clean the building, which is now barren, with no heat or electricity, and to remember the past. Mr. Hawal, who is Assyrian, switched to Mary Queen of Peace, which is Roman Catholic, after his brother became the caretaker. He remained after his brother moved to Baghdad and then to the Kurdistan region in northern Iraq. 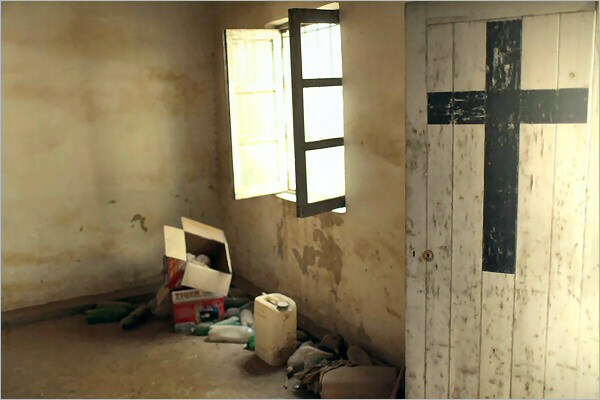 About half of Iraq’s Christians have left the country since the invasion in 2003.